I’ve been out of the loop since last year because I ended up just working with a few major client projects while also doing some more personal adventures in San Diego. Below are some insights I’d like to share with you on what I’ve been doing with those clients and what’s working now behind the scenes that comes from “connecting the dots” with my colleagues I share information with. 1. Are you launching a project? The way to start a conversation with potential affiliates and create buzz is with a “themed” intro. Press play below to see one that I shot and edited for a client. 2. Are you creating UPSELLS WITH VIDEO in your marketing funnel? A recent client of mind did and it helped him lift conversions. I helped edit a screen capture video for the client that explained what the upsell page was about so users wouldn’t get confused on why they were on his page to begin with after they had just ordered. Think about the POWER of doing this and how it could give CLARITY to your buyers! 3. 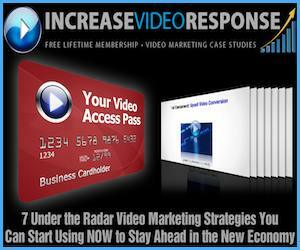 What is converting better than the standard “text based” video sales letter? Simply put, it’s the “whiteboard animation drawing” also known as “whiteboard video scribing” style. I recently worked with a company to produce the video at www.mobilemoneybandit.com, a rock solid product on mobile marketing and advertising. The whiteboard animation style has been converting higher than text based video sales letters where some of the numbers I’ve been told have been as high as 30% more from the same traffic and referral sources. If you’re an OptimizeYourVideo.com subscriber, just login to see the multiple companies we recommend for this. Intern Profits, another client I’ve produced videos for over the years was ahead of the curve and had this video done for their company before I even researched this style. Click the link below to WATCH the NEW VIDEO to get a glimpse of how you can add more response in your business starting today.